It's no longer just about gentlemanly class, sophistication, or even being suave. There is an art to dressing down and looking casual. Question is: how does one pull off that ultra-cool, effortless look? We take to Instagram for some serious style inspiration: here are the ten who do men’s fashion excruciatingly well. And only several million followers agree. Need some street-spiration? Luka Sabbat—aka Mr. Fallback—is rarely seen without the coolest kicks and pieces by the biggest streewear brands (there's no shortage of Supreme and Vetements on his feed). More than just a brand snob, it’s the way this young creative entrepreneur puts an outfit together that has his followers coming back for more. Not to mention, this twenty-something has nailed how to do dreadlocks in 2018. Paul Jason Klein—the singer and front man of American indie pop band LANY—is obviously watched closely for his band's music, but we’re even bigger fans of his style: namely, a cool nostalgia via '90s-inspired denim jackets, cuffed jogger pants and skater tees. Klein is also a lesson in what a hair change can do for a man. After years of shoulder-length curls, the brunette has braved this season’s coolest (literally) men’s hairstyle, the buzz cut, just in time for summer. Officially, he's the resident food and wine guru on the rebooted Queer Eye For A Straight Guy series on Netflix. Off-screen, his sartorial choices are just as delicious. Porowski takes well-cut casual basics and amps them up with chic accessories. In fact, he is most often seen in a basic white tee, which he dresses up with blazers, scarves and often, a tea towel strewn over his shoulder. For a more sartorial take on streetwear, there’s style veteran Nick Wooster. The New York designer, fashion buyer, stylist and entrepreneur thrives on incongruent pairing when it comes to his personal style: military meets sports, contemporary meets dystopian and monochrome meets pops of print and colour. Wooster is a must-follow for his inspirational approach to fitness (and what he wears while working out) and of course, his silver fox locks. Older gents, be inspired. 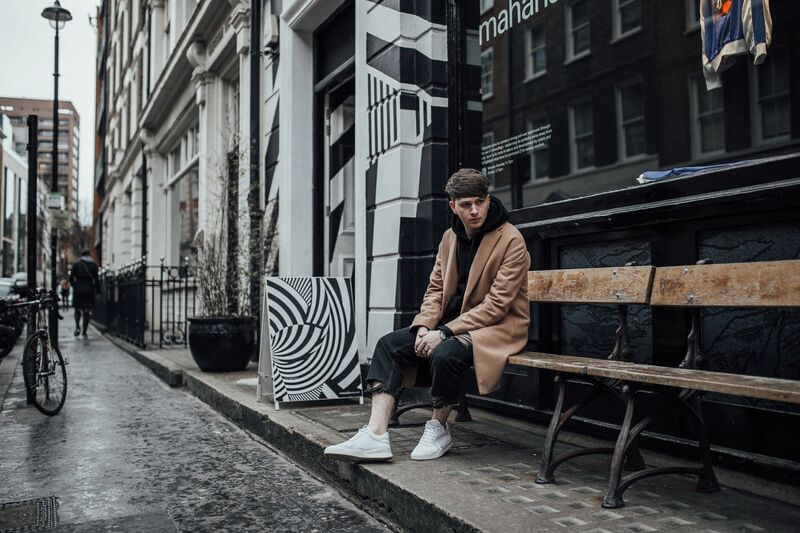 Bringing to the ‘gram some East London edge, Joel Gallucks has accrued a big fan following for his gallery of monochrome streetwear and forward-thinking fashion accents. A former stylist at Net-A-Porter Group, Gallucks describes his style as being “a boy from the future, in a post-apocalyptic world”, and has a skill for mixing high-end brands with more affordable fashion finds. Hot tip: check out his YouTube channel, which gives tips on shopping and where exactly he gets his gear from. British award-winning photographer Jonathan Daniel Price, is the man behind Garcon Jon. Honing his camera on unassuming style savants across London (where he is based), Paris and New York, Garcon Jon’s Instagram captures the best-dressed gents wherever he points his lens. Male models have the fiercest Insta feeds, and Briton Oliver Cheshire doesn’t disappoint. Glossing the pages of fashion magazines and scoring big-name campaigns, the fashion ambassador posts stylish work shots alongside moments of leisure, like holidays with his fiancé Pixie Lott and closer-to-home London hangs. With Cheshire, you’ll get style tips for every occasion: from summer beach shorts to ways to layer in winter. Leo is the real deal. The young Brit (yes, he’s just 15) serves up squares of high-end streetwear, and with this season’s Vetements/Gosha Rubchinskiy Eastern Europe inflection. Never one to shy away from hyped up brands (think Nike, Supreme and Palace), fashion-forward fans come to Gully Guy for straight-up modernised fashion nostalgia that’ll have you reminiscing about your teenage years. Mehdi Tessier, the Frenchman who goes by the Instagram handle The Parisien, mixes minimalism and modernity with classic tailoring one day, and then vintage denim and reimagined retro prints the next. The self-confessed "sneaker lover" always cops the latest from Adidas, Reebok and Nike, posting photos of his fresh kicks intermixed with stunning photography of French architecture on his feed. Scroll Tom Simpson’s Instagram feed, and you’ll be lusting to be anywhere but home. And then, there are his clothes. As head of menswear for online fashion site, The Iconic, the Australian jet-sets to places like Paris, Milan and nearby Lake Como, with his cool wardrobe and tattoos on show. His style is tailored with a rock'n'roll edge, both casual and chic, and has a penchant for the off-beat (think garment-dyed boiler suit paired with expensive jewellery and high-top sneakers) makes his Instagram feed great as boundary-pushing style inspiration.